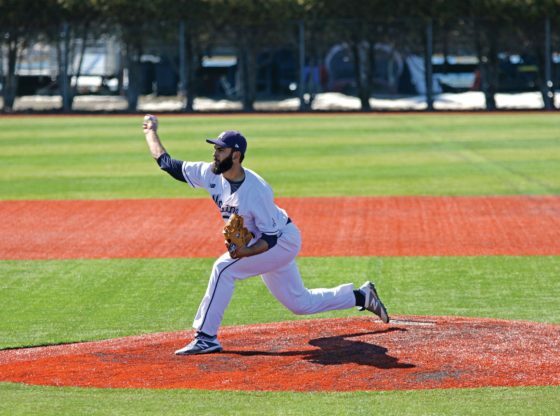 Despite outscoring the University of Hartford (4-15) 9-7 on the three-game series, the University of Maine baseball team (5-19) dropped two out of three in their America East opener. Maine lost Game 1 by a score of 5-3. Fourth-year starting pitcher Zach Winn started the game for the Black Bears. The Arizona native pitched five innings of one-run baseball. He allowed just three hits and three walks, while striking out four batters. First-year pitcher Ben Terwilliger relieved Winn in the sixth inning. He pitched just 1.1 innings and allowed one run, one hit, one walk and two strikeouts. First-year pitcher Matt Geoffrion came in for Terwilliger in the seventh. Geoffrion struggled to hold onto the lead, giving up three runs on four hits and a walk with two strikeouts on 1.2 innings of work. The Hartford Hawks’ pitching was hard to figure out. The Hawks as a team struck out 13 Black Bear batters. Third-year right hander Billy Devito started the game for Hartford. He pitched five innings, allowed three runs on four hits, walked three and struck out five. Redshirt third-year Jack Regula relieved Devito in the sixth inning. He was the most dominant pitcher in the game. Regula pitched three innings and allowed just two hits. He struck out a game-high six batters. Third-year right-hander Seth Pinkerton picked up the save for the Hawks. He allowed two hits, one walk and no runs, and struck out two in the ninth inning. 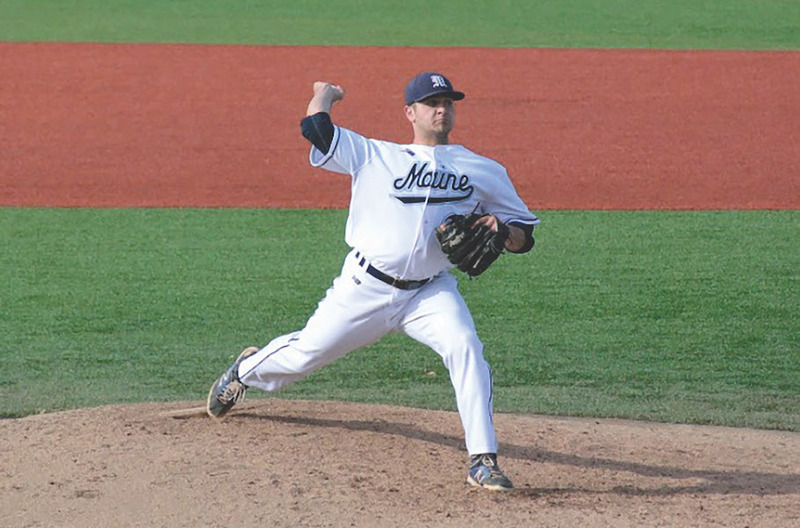 UMaine third-year shortstop Jeremy Pena went 2-5 at the plate in the game for the Black Bears. One of his hits included a triple. Second-year first baseman Hernen Sardinas went 1-4 and drove in two runs. Fourth-year designated hitter Jonathan Bennett went 1-4 with a walk and one run batted in. Fourth-year Brandon Vicens, redshirt third-year Caleb Kerbs and second-year catcher Cody Pasic also went 1-4 at the plate in the game. Game 2 was a pitchers’ duel until Hartford second-year second baseman Bryce Walker hit an eighth-inning home run. Walker’s home run was the only run scored in the game. Third-year pitcher Nick Silva started the game for the Black Bears. He pitched 7.2 innings of shutout baseball until the Walker home run. Silva allowed five hits, two walks, one run and three strikeouts. Fourth-year Connor Johnson pitched one third of an inning and allowed one hit. Silva was one out short of a complete game. First-year Nicholas Dombrowski was the winning pitcher in the game. Dombrowski threw eight strong innings. He allowed five hits and one walk, while striking out six Black Bear batters. Pinkerton collected the save in a clean ninth inning. He pitched one inning and struck out one batter. Fourth-year catcher Christopher Bec had two of the five Black Bear hits in the game. Bec, who is on the watch list for the Johnny Bench Award, went 2-4 at the plate with a double and a stolen base. Fourth-year Brandon Vicens and third-year Jeremy Pena each went 1-4 at the plate with singles. Second-year Kevin Doody went 1-3. UMaine won Game 3 by a score of 6-1. Redshirt third-year pitcher Chris Murphy started the game for the Black Bears, but he only recorded one out in the game. Murphy walked two batters and hit one in the first inning, prompting Johnson to finish the inning. Johnson struck out one batter and only recorded two outs in the game. The rest of the game was thrown by fourth-year pitcher John Arel. Arel went on to collect the win and pitch the final six innings of the game, allowing four hits, two walks and four strikeouts. The Black Bear offense was on in the finale. 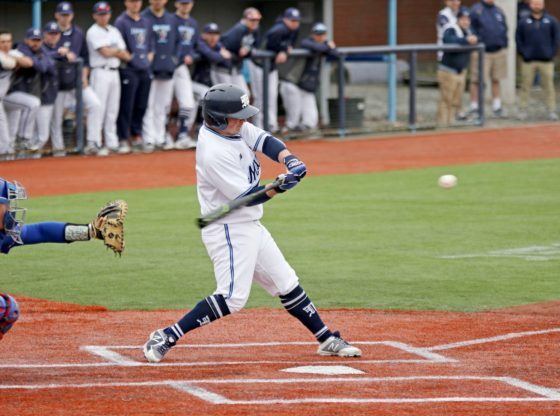 UMaine out-hit Hartford 11-4. Bec went 3-4 at the plate in the game, with a double and a stolen base. He hit a solo home run to left field in the seventh inning. Vicens was 2-3 in the game with a double and two runs scored. Doody was 2-3 at the plate with one run batted in and a walk. Kerbs went 2-4 in the game. Pena and Sardinas each went 1-4 in the game with a run batted in. All six runs scored by the Black Bears were driven in by different batters. The Black Bears return to action at Mahaney Diamond, where they will play a three-game homestand against the University at Albany. The doubleheader begins at noon on Saturday, March 31. Game 3 will take place at 1 p.m. Sunday, April 1. Hartford will play Yale in New Haven, Connecticut on Wednesday, March 28. The game will start at 3:30 p.m.